Blog Home » What Are Some Great Text Marketing Goals for You in 2015? At Slicktext.com, it’s our dream someday to see every small business owner killing it with text message marketing. Obviously, that isn’t something that just happens overnight. But, we hope in the next year, we can encourage all small business owners to see the benefits of this awesome marketing method. Not only is it cost effective, but the immediacy of it as a communication tool makes it a complete no brainer. We always strive to innovate, and keep the industry on its toes. Here’s some great visions we have for text message marketing in 2015. 1. Hitting 10% for your offer redemption rate. The whole point of operating a text marketing list is to promote an offer and increase business. We want to see you hit at least 10% this year for your offer redemption rate. 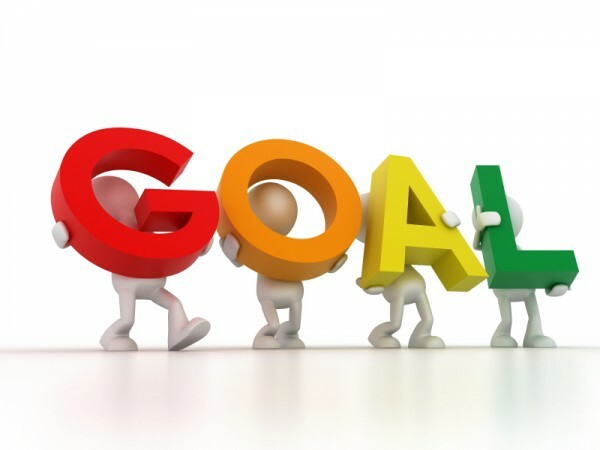 Here’s some simple ways to make this goal a reality. A. Did you follow our text marketing best practices? Educate yourself, don’t just jump into the Dashboard and expect results. B. Is the offer exclusive? If your offer isn’t exclusive, good luck getting people to join your text marketing list. On top of that, if the offer is too generic, or doesn’t provide enough value, they won’t join either. For example, 10% off is not a great incentive. This is something they can probably get without joining your list. C. Did you forget valuable info, such as expiration date/promo code? Sometimes our users write up a great campaign, but forget to include important details, such as a promo code, directions on how to redeem, or an offer expiration date. 2. You understand advanced textword selection techniques. Did you know there’s such a thing as a failback textword? This is essentially a mistake textword. For example, if your promoted textword is a commonly misspelled word, you might want to reserve the misspelled version of that word as well. That way, if potential subscribers text in the misspelled version, they are still able to join your list. 3. Your text marketing list is the same size, if not bigger, than your email marketing list. We now offer an email capture tool to help you grow your email list. You can shoot a message out to current subscribers, offering an incentive to text back their email address. This year, we want to see your text list and email list working together in one cohesive unit. What a great way to connect with potential customers on several different fronts. There’s no reason why you shouldn’t be using this technique. Ready to get started with one of the top text marketing providers? Give us a call today at 1.800.688.6290. If you already use our service, give us a ring anytime, and we’ll discuss how to improve your campaign results this year.